You knew it was coming, and here it is! Mike Filsaime and Andy Jenkins have completed their free video training series and are now ready to move from the free training to the meat and potatoes. They have helped a lot of people with the free training, but you know there is always a lot of detailed training that would not be reasonable to give away for free. 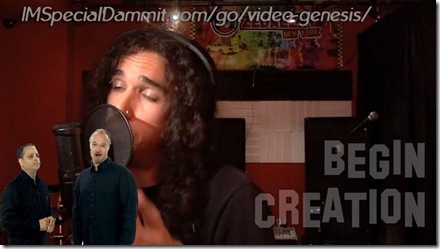 So Mike and Andy have put it all into the Video Genesis course. For a LOT less than $1500 (which is what I thought this course was going to sell for), you are going to get the training that will turn you from a video noob to a video professional. Well, you have to put the training into practice, to get any benefits from it. PS – I am going to give 6 months of weekly one on one coaching for anyone who buys this from my link. Make sure you contact my help desk to let me know you are claiming the bonus.